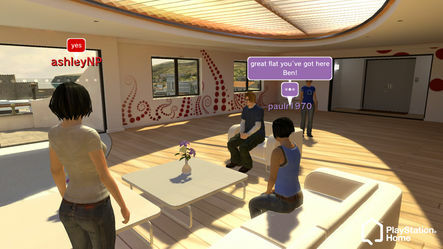 At the Tokyo Games Show 2008, Sony has announced that PlayStation Home will be released to the public on November 19th 2008. Home has already been delayed twice since it was announced almost two years ago. 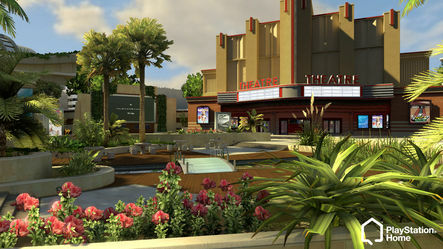 The extended closed beta of PlayStation Home is currently under way but in just over a months time, everyone will be able to enjoy Sony’s virtual world. On launch, a variety of third-party content will be available from many game design companies. "Our goal is to make the Xbox experience more visual, easier to use, more fun to use and more social…We focused a lot on friends and other experiences outside just playing games." Great, finally. Too bad a M$ quote made it into this though. What the hell? I am actually pissd how cheap MS is. Right after this announce date they pull out this announcement. THIS is just BS man. PS3 home worked hard on it and now MS just copies their idea.This would’ve been another reason to make PS3 clearly more superior than xbox. MS did not copy home they copied Nintendo and their Mii Avatars because they wanted to gain ground on them not Sony. Plus their console can’t handle the heat of the graphics that would be required for even 50% of the artwork of Sony’s Home. Oh you mean the fact you can assign however much of the 512MB RAM between graphics and other uses which allows to use every drop of RAM, rather than the PS3 where you are stuck with 256MB each even if you don’t need it? Don’t get me wrong, I own a PS3 and am looking forward to Home. 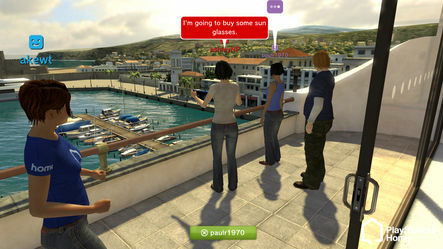 But I still doubt I will spend as much time on it as I do chatting to friends on the 360 while playing games. So I can totally see why Microsoft did not devote money to making anything like that and instead chose something which improves the whole experience, not just a small diversion like I expect Home to be.